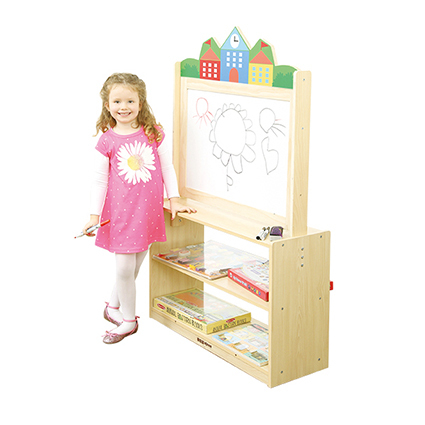 An attractive and functional dual purpose unit ideal for both storage and artwork. 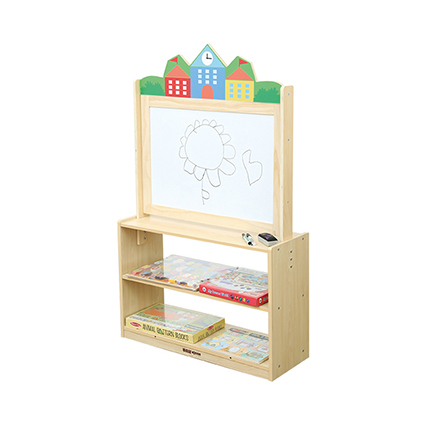 With two open ended shelves and a double sided whiteboard on top (for use with dry wipe marker pens). The whiteboard is also magnetic.